April 1, 2019 , 9:42 pm in Holidays . This post may contain affiliate links. 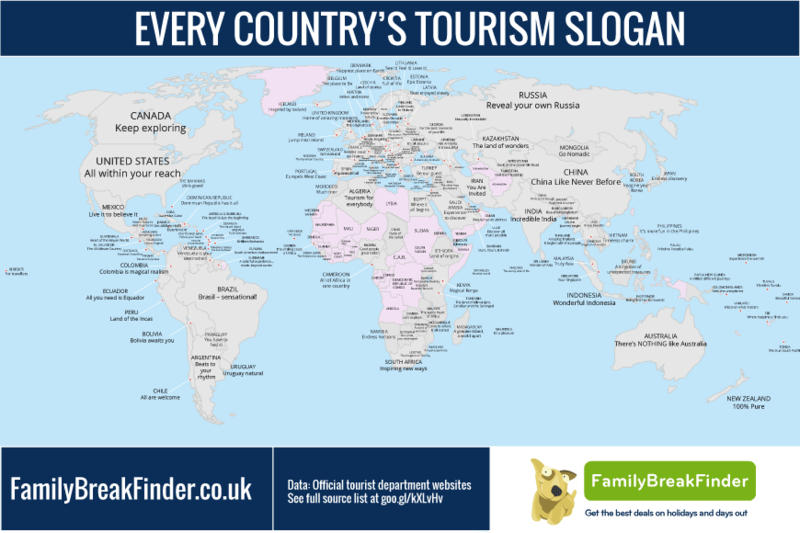 This map shows the every country’s tourism slogan*. From the straightforward (‘Travel in Slovakia – good idea’) to the dramatic (‘Colombia is magical realism’) these slogans are an insight into the ways tourism departments in countries across the world sell their countries to visitors. There are 9 exclamations used (Lithuania’s previous slogan used three with ‘See it! Feel it! 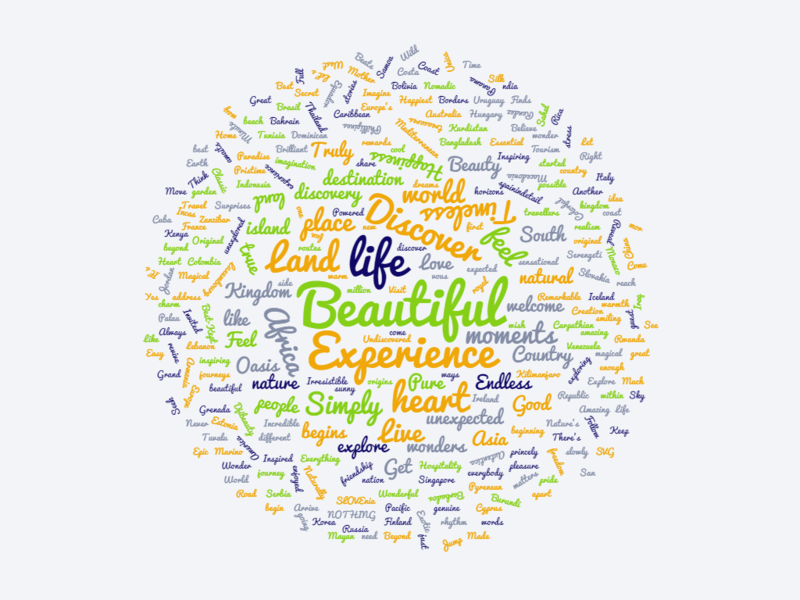 Love it!’ but is now ‘Real is beautiful’) and the most popular word used is ‘Beautiful’ which appears six times. Click on the map below to see it in full size. This map has gone viral! To date, ‘Every Country’s Tourism Slogan’ has been featured on Reddit (3800+ upvotes! ), The Guardian, Daily Mail, Boing Boing, Kottke, AV Club, Imgur, Aftenposten, Lonely Planet, That’s, Digg, Sapo Viagens, Pravda, Stuff, Alltop, mlkshk and more. We’ve updated a couple of new slogans, added some missing countries and moved Gambia into its correct geaographical position (thanks for the spot poloport). If you are a media publication and would like to feature an unbranded, large-scale version on your site, please get in touch. We’ve also included a link to a spreadsheet with all our data sources. FamilyBreakFinder is a popular UK based travel publisher that helps families get more from their travel and leisure. We curate the best deals and provide tools to compare millions of holidays (and much more). You’ll get access to hundreds of tips across dozens of guides. We have hundreds of articles on our site including everything from free child places, ultimate holiday checklist or Harry Potter tour ticket guide. Membership of FamilyBreakFinder is free.